The 64-year-old Atlanta-based magazine has awarded the Governor’s Cup annually since 1988, based on new and expanded corporate facilities as tracked by the proprietary Conway Projects Database. Texas and Nebraska have won the 2017 Site Selection Governor's Cups. This is the fifth year Site Selection recognizes the state with the most qualifying new and expanded facilities per capita, which Nebraska claims for its capital investment activity in 2017. Texas wins for having the most qualified projects of any state. The 64-year-old Atlanta-based magazine has awarded the Governor’s Cup annually since 1988, based on new and expanded corporate facilities as tracked by the proprietary Conway Projects Database. 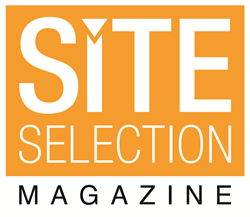 Site Selection, published by Conway Inc., is the senior publication in the corporate real estate and economic development fields and is the official publication of the Industrial Asset Management Council (IAMC, at http://www.iamc.org). Site Selection's yearly analyses are regarded by corporate real estate analysts as "the industry scoreboard." The magazine's circulation base consists of 48,000 subscribers, most of whom are involved in corporate site selection decisions at the CEO/President/COO level. The Lone Star State's 594-project finish for 2017 is down from its 642-project, first place finish last year (the state attracted 701 the year before). Ohio is second with 467 (down from 515), followed by Illinois (419), Georgia (281) and North Carolina (274), which along with No. 6 California and No. 7 Kentucky were the only states in Top 10 to show higher project totals than the year before. In the per capita (per 1 million population) contest, Nebraska’s tally of 110 projects was nine higher than the year before. Second-place Kentucky had a higher tally too, up by 17 projects to 248. In addition to placing No. 2 in the traditional rankings, Ohio placed third in the per capita race, followed by Illinois, Georgia and Iowa. The March 2018 issue of Site Selection also features state rankings by region. For 2017, the regional leaders according to the traditional, total new projects measure are Pennsylvania (Northeast); Ohio (East North Central); Missouri (West North Central); Georgia (South Atlantic); Texas (South Central); Arizona (Mountain); and California (Pacific). Per capita regional leaders are Pennsylvania (Northeast); Ohio (East North Central); Nebraska (West North Central); Georgia (South Atlantic); Kentucky (South Central); Nevada (Mountain) and California (Pacific). The Top Metros for new and expanded corporate facilities in 2017 were also repeat winners, across three population tiers. Chicago-Naperville-Elgin, Illinois-Indiana-Wisconsin, was No. 1 among metro areas with populations over 1 million; Omaha-Council Bluffs, Nebraska-Iowa, was No. 1 among areas with populations between 200,000 and 1 million. And Sioux City, Iowa-Nebraska-South Dakota was No. 1 among areas with populations between 50,000 and 200,000. Full lists of the Top 10 Metros in each population category appear below. “Seventy-seven distinct city neighborhoods in various phases of realizing their potential, 275 municipalities and seven counties comprising the new Chicago Regional Growth Corporation, 10 viable candidate sites for Amazon HQ2 or any other corporate campus, impressive transit-oriented, mixed-use redevelopment and — perhaps best of all — housing stock that people can actually afford,” says Adam Bruns, managing editor of Site Selection. “Put all of that together and you see why companies and the people who work for them continue to find Chicagoland a place with options and a place to thrive." In the magazine's ranking of Top Micropolitans — cities of 10,000 to 50,000 people which cover at least one county — Findlay, Ohio, was tops among the nation's 575 micropolitan areas, followed by Batavia, New York; Wooster, Ohio; Shelby, North Carolina; and a tie between Cullman, Alabama, and Richmond-Berea, Kentucky. Ohio once again led as the state with most Top Micropolitans (18). Union City, Tennessee-Kentucky, is the recipient of the Big Muddy Cup, recognizing the top metro area along the entire length of the Mississippi River for private-sector facility projects per capita. Ranking behind Union City were last year’s repeat winner Burlington, Iowa-Illinois; Baton Rouge, Louisiana; Dubuque, Iowa; Clinton, Iowa, Natchez, Mississippi-Louisiana; and New Orleans-Metairie, Louisiana. A Top 10 list of per capita leaders and a list of the top areas in total projects are included below. All of the above stories are posted at the magazine's award-winning website, http://www.siteselection.com. Site Selection magazine, published by Conway Inc., delivers expansion planning information to 48,000 executives of fast-growing firms. The senior publication in the development field, Site Selection is also available via Site Selection Online. (Note: All circulation information is publisher’s own data unless otherwise specified). Headquartered in Atlanta, Ga., Conway, publisher of Site Selection magazine, the Conway Analytics Report and a family of online industry newsletters, in 2017 was recognized as Georgia International Small Business of the Year by the Atlanta Business Chronicle. Conway has been a trusted advisor to corporations, government economic development and investment promotion agencies around the world since 1954. Conway owns and manages Conway Events, organizer of worldwide FDI events; Berlin-based FDI advisory firm Conway Advisory; and New York-based Conway PR & Marketing, a leading PR and lead-generation firm. Conway also manages the Industrial Asset Management Council.